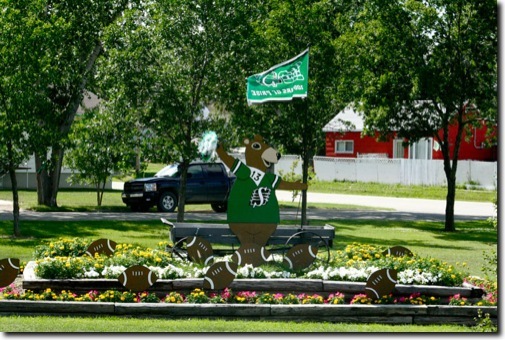 The small town of Avonlea is one of the five communities who are finalists in the competition to be named Riderville. The others are Nipawin, Unity and the cities of Weyburn and Yorkton. The contest is explained on the Rider's web site. Early this week I went around the town collecting these pictures to show what the community has done to achieve their goal of becoming Riderville. Check out Avonlea's Riderville web site with two videos that pitch their community.